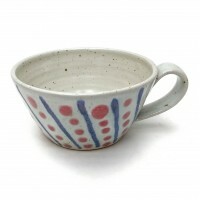 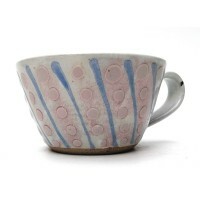 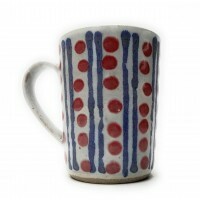 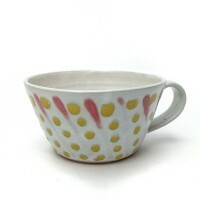 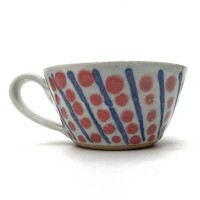 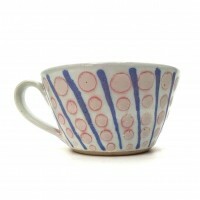 A unique cup with blue and pink trailed glaze decoration. 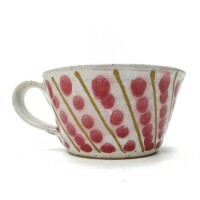 Ideal for morning coffee or hot chocolate at any time. 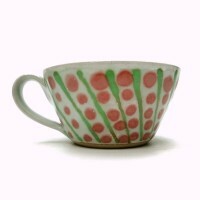 Dotty.